SPOILER ALERT! If you haven't seen all of the series to date or haven't read the books and don't want to know what happens in them, please be warned there are spoilers ahead! 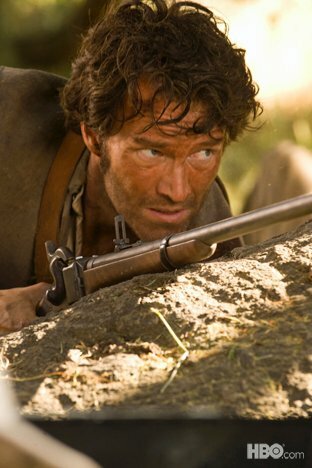 Stephen Moyer's most famous role to date has to be that of William Thomas "Bill" Compton. This section of the site will attempt to chronicle who the character of Bill Compton is and what he is really like. We, of course, focus on the Bill from True Blood instead of the Bill from the books, but in order to include all information available about Bill, and since his very existence is owed to the books, you will see many book references in comparison to the series. 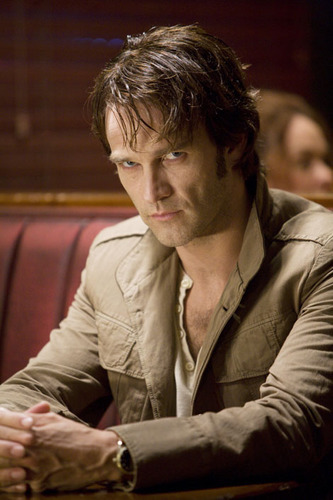 William Compton (William Erasmus Compton according to Dead Until Dark) is a fictional character from the The Southern Vampire Mysteries/Sookie Stackhouse series by author Charlaine Harris which in 2008 was brought to life by Stephen Moyer in the HBO series True Blood. Bill is a vampire and is introduced in the first novel in the series, Dead Until Dark, and has appeared in all of the novels since. He has also appeared in every episode to date of the TV show. He is sometimes referred to as "Vampire Bill" by locals in Bon Temps. Although it's been reported by Alan Ball, the creator of True Blood, that it took a long time to find the right Bill, it has been said that the long search was well worth it since Stephen is a perfect Bill Compton. 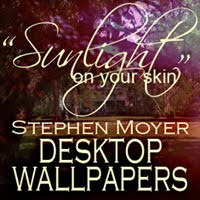 At the time that Stephen auditioned for the role he had just finished up a series called The Starter Wife and had blond hair and a dark tan since his character on the series lived on the beach. So its a testament to Alan Ball's casting skills that he was able to see Stephen in the role of the dark vampire. Even though Stephen is British, he was able to to master the American civil war southern slowness and charm of Bill's character down to a "T" demonstrating his proficient acting skills. Stephen has also been quoted saying that he really likes Bill and prior to filming of True Blood did as much research as he could on the American Civil War. And, he worked very hard to insure that Bill's voice would represent his time. Stephen said in an interview that they had decided that Bill should speak very slowly and not use contractions, so you'll never hear Bill Compton say "don't" or "won't", instead he would say, "do not" or "will not". Bill As Vampire - includes Bill becoming a vampire, life as a vampire and his position within vampire authority. Book Bill and Show Bill are very similar but Alan Ball has changed up the story quite a bit in respect to Bill. Alan Ball has been quoted as saying that he is a Bill fan and that Bill will always be prominent in the series. For example, in the books Bill's role in the story line progressively becomes less and less. We're hoping that Alan will stay true to his word and keep Bill (Stephen) prominent in the story throughout the series. There have been a lot of Flashbacks about Bill Compton in True Blood and below are the visuals of the flashbacks from the first six seasons. Season 7 will be added after the season ends. BILL COMPTON FICTION - One of the Billsbabes, ABNegative, has written her interpretation of Bill's life in her blog titled, The Life and Times of Bill Compton - you can read her fiction by clicking here. BILL COMPTON QUOTES - There have been many memorable quotes made by Bill in True Blood, so we have set aside a section of this site dedicated to them. Click here to see our section on Bill Compton Quotes.